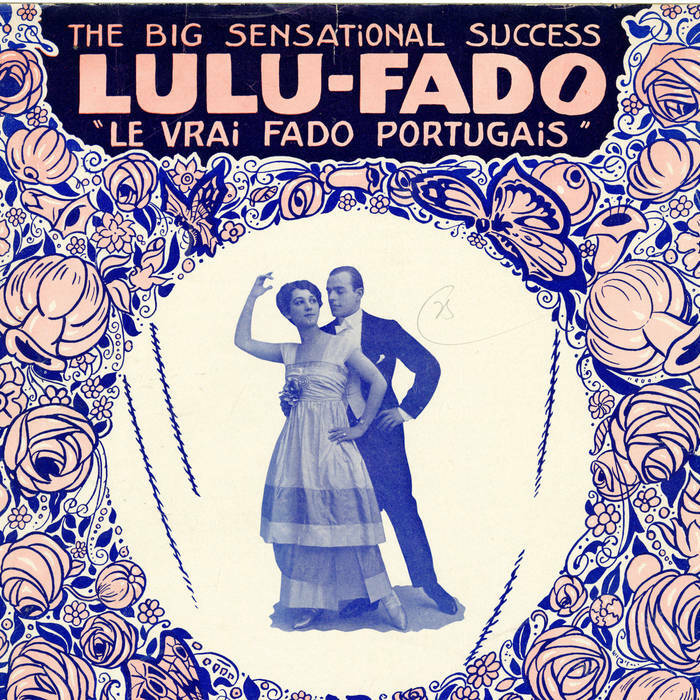 Research on social dance history does not always involve direct work on specific dances, and occasionally I get diverted to detective work on related historical mysteries in different fields - music, language, biography, etiquette, publishing history, and more. Over the last few weeks, I have pursued a successful quest for some pages missing from an 1840s work by Charles Durang. The process of locating these pages illustrates some of the frustrations of working with 19th century sources and the care needed in studying them. In her delightful overview of 19th-century dance and etiquette, From the Ballroom to Hell, Elizabeth Aldrich states that Durang (1796-1870) was a dancer at the Bowery Theatre who later taught dance in Philadelphia with his daughter Caroline and published at least four dance manuals. 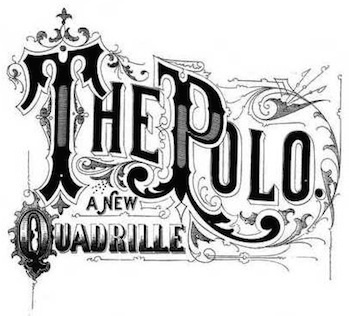 I started looking for a copy of Durang’s The Ball-Room Bijou and Art of Dancing as part of the research for a particular set of quadrilles and rapidly found myself in the midst of a publication puzzle. It was not particularly difficult to track down a copy of Bijou – the University of California has a copy in its collection, which has conveniently been digitized by Google. But, to my dismay, that copy appeared to be missing its middle: the page numbering jumped abruptly from page 50 to page 113 and then skipped from page 155 over to the final page, 158. 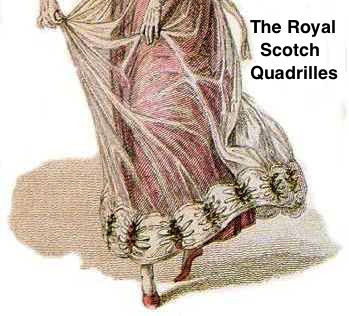 While the complete description of the set of quadrilles I was researching was included in the available pages, I was both hopeful of more details on some of the steps in the missing pages and just plain annoyed at not having the complete work. I assumed the California copy was damaged and over time the pages had simply been lost, so I took advantage of a planned trip to the New York Public Library to look over their collection of Durang, including three separate copies of Bijou, in quest of the missing pages. Much to my dismay, the first copy I looked at was missing exactly the same pages as the California copy. So was the second. It seemed unlikely that two separate libraries had managed to lose exactly the same pages from three separate books. I began to consider the possibility that an entire defective print run existed. Catalog records do not always mention these little pagination problems; I could see myself dashing frantically from library to library, only to find every copy incomplete and my curiosity about pages 51-112 left forever unsatisfied. The third copy I looked at made matters both better and worse. Despite the “1848” on its inside title page, there was a registration date of 1854 on another page – obviously a later edition. The preface was slightly different, and rules for polite behavior had been added; par for the course for a new edition. The page numbers were a little odd here; after the rules, they reset by a few numbers for the next section, on the rise and progress of dancing. But from that section onward, the content and pagination exactly matched the previous two copies – it looked like this was just the same familiar Bijou with the new material at the beginning. Perhaps in this new edition I would finally get to read pages 51-112? I was quite optimistic until I reached page 50 and discovered the same jump to page 113. I swore quietly in disbelief. One bad print run, sure. But to reprint several years later with new material added and still make the same mistake? A careful look showed more differences: after page 113, it went on only to page 150, then skipped to page 185 for five more pages of information not in the earlier edition. New content, yes, but not the missing content. At this point I was baffled, frustrated, and out of editions of Bijou. I moved on to other books by Durang, hoping one of them would reprint the quadrilles or at least provide the step and figure information I was looking for. Next up was The Dancer's Own Book, at first glance a totally different work. Aldrich dates it to 1855, though I was unable to find any date in this copy. There was no introductory verbiage; Durang dove right in with pictures and descriptions of quadrille figures, though not the ones I was most interested in. I was paging happily through until I got to page 111 and the book abruptly skipped to 156, after which came 157, logically enough, but followed, confusingly, by 160-183, 112, 159, and 184. This wasn’t just a matter of missing pages. But it didn’t actually affect the way the book read – each jump came at the beginning of a new section of text, so if you just ignored the page numbers you could overlook the problem entirely. Ignoring this sort of detail does not come naturally to me, but I gnashed my teeth a little and went on to the next Durang, completely overlooking an important clue. The fifth and final Durang book on my NYPL list was Durang's Terpsichore or Ball Room Guide, bound with a copy of Durang’s later work, The Fashionable Dancer's Casket. (The latter manual is a completely separate work published in 1856. It is easily available online at the Library of Congress collection and in a modern facsimile edition.) Terpsichore is dated 1847, putting it in the same timeframe as Bijou and Dancer’s Own, and is a larger book – about the size of the other two put together. I had high hopes for new material. And then I started reading, and the first words of the preface looked very familiar. Exactly the same as Bijou, in fact. So did the next section. In fact, the first 50 pages were – yep – word for word the same as the original editions of Bijou. Terpsichore was the original manual, published in 1847, consisting of 192 pages of which 190-192 are an index. Bijou is a set of excerpts, published in 1848, containing pages 1-50, 113-155, and 158. The 1854 edition of Bijou has new introductory material for the first dozen pages, but otherwise is the same through page 50, then contains 113-150 and 185-189. Dancer’s Own is a different set of excerpts, published in 1855 (per Aldrich; or could be any time from 1848 onward), containing 51-111, 156-157, 160-183, 112, 159, and 184. I’m still frustrated by the ambiguities in the quadrilles, though. I'm amazed he could sell the partial books with the "off" pagination. They would be close enough back then that you'd think people would notice and figure it out before they bought. I didn't notice the pagination in Bijou at all when I was reading the book online. I caught it when I printed it out, since I was looking at the numbers to be sure I had a complete printout. I could see buying a book with a different name and cover and not really paying attention to the pagination before you actually started reading it, and maybe not even then - I got through Dancer's Own the first time without noticing that it started on page 51! I'm sorry you didn't approve my last comment, but I'm not sure why. I'll take down the reference to Capering and Kickery on my dance history blog if I've offended. I don't approve or disapprove comments, so I'm not sure what the problem is. I delete spam retroactively, but I haven't deleted anything of yours, and the last comment I see from you before this was back in January on the Lambeth Walk post. Sometimes comments mysteriously fail to post. Please try again. Part of the problem may be that spambots are flooding blogs lately (I've had over 18,000 spam comments since March 21st) and Typepad is filtering very aggressively. So some things may be getting caught that shouldn't be. I've just put a CAPTCHA filter in place to see if that helps sort out the real comments from the spam. Just a note that Charles Durang was a Philadelphian by birth, upbringing, career, and family (the one he was born into with parents John and Mary Durang, and the one he had, which included 10 children). Like all theater folks of that time, he performed in other cities, but he was a Philly guy through and through! Yes, absolutely. Philadelphia has quite a few wonderfully-documented dancing masters over the years. I'm a Philly native myself, and it would be fun to do a themed event around Philadelphia-specific material!